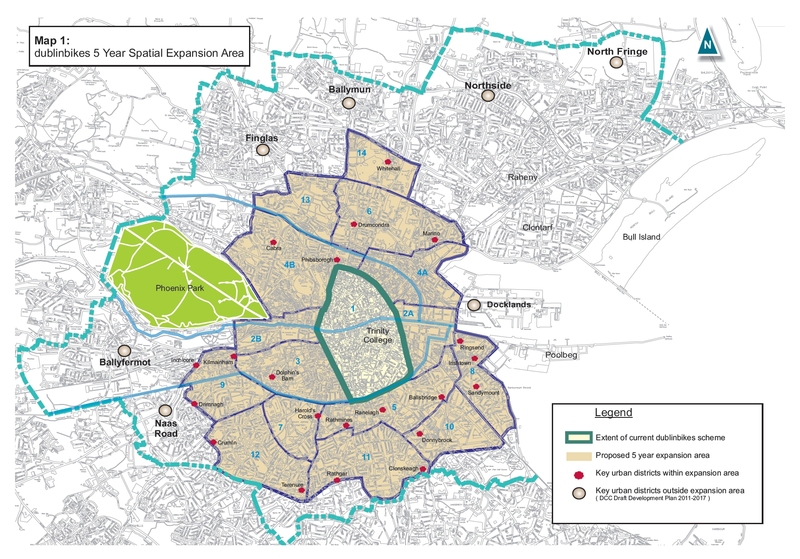 On the back of the scheme smashing all expectations in its first year, Dublin City Council has drawn up a plan to expand across the city, increasing the amount of bicycles from 500 to 5,000. The first millionth journey was achieved last summer and the bikes have now being used for over 1.7 million journeys. There are nearly 50,000 subscribers and around 30,000 of those are yearly subscriptions. It is now an accepted feature of the city’s landscape, used by business men in suits and estate agents commonly listing the nearest station as a feature on property rental adverts. 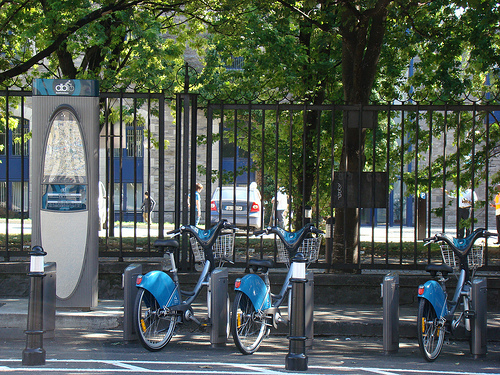 The main problem with Dublin Bikes is how its success has led to capacity issues at stations. The first phase was funded by advertising billboards in a controversial deal with ad company JCDecaux, but advertising is now taking a back seat with the new expansion. “Predominately this is going to be funded by a few different sources – firstly the National Transport Authority is going to put some funding to it, and we’ve also got commitments from various businesses who want a station near their business and they’re prepared to pay for it,” says Cllr Montague. Does the campaign support more advertisements? “As long as the bikes get on the ground and the bikes work, we wouldn’t really want to interfere with how it’s funded. Personally as a citizen of Dublin, you’d hate to see too many of those billboards going up,” says Andrews. The Dublin Cycle Campaign believes bike rental schemes should be rolled out in every city in Ireland and even larger towns. And what about users contributing more to the costs? “There may be slight variations in cost, but we’d like to see the existing structure retained – you get a great take-up because the first half hour is free and it encourages people to leave bikes back quicker,” Andrews says. 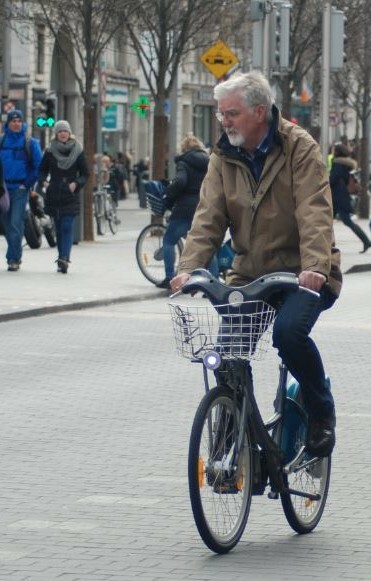 Cllr Montague says Melbourne’s bike system – which has 600 bicycles, about 100 more than Dublin – is used for about 100 to 150 trips a day in summer time, while Dubliners did “2,000 trips per day in the snow.” The council’s report on the expansion (see the link at the bottom of this page) says there’s an average of 5,000 trips on weekdays in the summer and 4,000 in the winter. JCDecaux said today that the daily record was broken yesterday, Thursday March 24. “Yesterday saw a new rental record of 5,874 journeys being taken in one day, perhaps a reflection of the sunshine we’ve been having in Dublin this week,” said JCDecaux on its website today. The city council’s report highlights journey time reliability, health, tourism, and fewer emissions as some of the main benefits of the plan. Needing to lower emissions may sound strange in a recession, but traffic emissions in parts of Dublin were recently recorded as exceeding EU limits. If the five year plan goes ahead as scheduled, the ambitious strategy also mentions further expansion into the rest of the city council’s areas, such as Finglas, Ballymun, and Ballyfermot.